Apartment located in a very shaded residence, secure and close to downtown. Collioure is a historic city located by the sea, close to Spain and the Pyrenees. This city known for its Church, its castle and its world renowned painters is also a seaside resort. The apartment is located in a quiet, leafy residential composed of small chalets Catalan 2 storeys. The residence is secured with video surveillance, a farm gate entrance. The opening is through the use of a remote control which is paid to tenants. The apartment of 72 square meters is spacious, comfortable, well equipped and very quiet and cool. It is equipped with WI-FI .A small private courtyard, quiet, shaded, located behind the apartment is ideal for reading, rest or even nap. For children the apartment is close to the beach without crossing a road. The location of this apartment allows you to be in Collioure without using the car, everything can be done on foot. The apartment has 2 bedrooms one with a double bed, the other with 2 beds 90 \ 180 overlooking the quiet courtyard. In one room there is an extra plus extra bed to another bed for child and a baby bed shaped umbrella. The bathroom has 2 comfortable sinks, a shower cabin and a heated towel rack. A small window overlooks the courtyard. The living room has a sofa bed for 2, 2 fauteuis relaxed, a flat screen TV and a small table. The dining area of ​​the living room has a round table with 4 comfortable chairs plus extra chairs. .The Covered terrace overlooking a small garden. There is a table and 4 chairs for lunch or dinner out. As for the kitchen quite well equipped tes. It is composed of refrigerator-freezer, hob, oven, dishwasher, washing machine, microwave oven, espresso machine and all the necessary equipment for the kitchen .. This apartment has central heating with radiators and running on gas. Also available is that this apartment is cool which is important during the summer months. and 10 minutes walk from the city center of Collioure, Which is joined by bypassing the castle and along the beautiful bay. The bathroom consists of 2 basins, a shower and a hairdryer á disposal. A small window overlooking the private courtyard. Shelves allow storing toiletries. In addition, a heated towel rail heater bathroom for the winter period. The toilet is separate from the bathroom and at the entrance of the apartment with a small window. The apartment has a small private and secure courtyard which gives the 2 bedrooms. To take advantage of this court, 2 deck chairs are available in the closet of a room. Spacieux au calme à quelques mètres du centre ville et de la plage. Seul bémol bien que l'on puisse rentrer dans la résidence avec la voiture pas de place attribuée à l'appartement il faut se garer sur les trottoirs s'en gêner....très bon séjour ville magnifique et vivante même en septembre. Appartement très bien équipé et idéalement situé. La résidence est très calme même en très haute saison. Le plaisir d'une famille norvégienne de retourner au bien-connu. C'est la cinquième fois qu'on passe les vacances dans cet appartement, ce qui dit tout. Vraiment! Collioure est une ville plus que charmante, un fait connu par pas mal de monde - un monde qui l'envahit en été. Elle sait se présenter comme une vraie ville touristique pendant les vacances, bien qu'elle est, pour le restant de l'année, un coin calme et relaxé. Cette calme peut-on vivre depuis l'appartement, placé comme il est bien au fond de la Résidence de Val Saint Elme. On se trouve a 5 minutes de la plage, du boulanger et des excellentes petites épiceries - et de la vie énergetiqie des touristes. Mais on ne l'entend pas! Ça, cet du vrai luxe! Ajoutez-y un appartement spacieux, bien tenu et bien equipé - qu'est-ce qu'on peut désirer en plus? The joy of a Norwegian family over returning to the well-known. It is the fifth time we spend our holidays in this apartment, which says it all. Really! Collioure is a more than charming litte town, and known as such by a lot of people, people who vitually invade it in the summertime. It knows how to present itself as a genuine tourist city during the holidays, although it is, for the rest of the year, a calm and relaxed corner of France. This calm you can experience from the apartment, situated as it is deep in the Résidence de Val Saint Elme. You are 5 minutes from the beach, the baker's and excellent little grocery stores - and from the bustling life of the tourists, but you don't hear it! That, if anything, is sheer luxury! Add a spacious, well-kept and well equipped apartment - what more can one desire? Voilà une appréciation qui correspond tout à fait à notre appartement : son équipement, son bien vivre , son confort, son calme à 5 minutes de la plage et du centre et cet appartement au rez de chaussé est de plus frais ce qui est important dans cette région méditerranéenne. Allereerst complimenten voor de verhuurder, Bruno Pallard. Hij reageerde altijd supersnel op onze mails en was erg behulpzaam. Het appartement voldeed aan onze verwachtingen. Het ligt in een rustige omgeving en is ruim, van alle gemakken voorzien, en blijft bij warmte redelijk koel. Dankzij de vele ramen (ook in badkamer en toilet) kan het appartement goed doorwaaien als het warm is. Het was heerlijk vertoeven op het ruime balkon aan de voorzijde. Er is tot ongeveer half 12 's ochtends zon (én schaduw). Wij hebben nagenoeg geen gebruik gemaakt van het plaatsje aan de achterzijde, daar was het 's middags veel te warm. De ligging van het appartement is ideaal: strand, bakker, supermarkt, winkels, alles is binnen 5 tot 10 minuten lopend te bereiken. Collioure is echt een supergezellig, mooi dorp en ook in de omgeving is veel te zien. Eén klein puntje: je moet 2 trappen op om bij het appartement te komen: één nogal ongelijke trap van de straat naar de entree, en binnen één kleinere trap naar de ingang van het appartement. Bij beide trappen ontbreekt de leuning, en dat is zeker bij de buitentrap best lastig als je zware bagage naar boven sjouwt. Wir waren zum zweiten Mal in dieser geräumigen und gut ausgestatteten Ferienwohnung zu Gast und haben dort einen sehr schönen Urlaub verlebt. Die Lage ist ideal, ganz zentral und trotzdem so ruhig, dass wir abends das vielstimmige Vogelkonzert ungestört genießen konnten. Da wir das Städtchen und die Region sehr mögen , werden wir sicher noch einmal wiederkommen. Das Appartement können wir guten Gewissens weiterempfehlen. 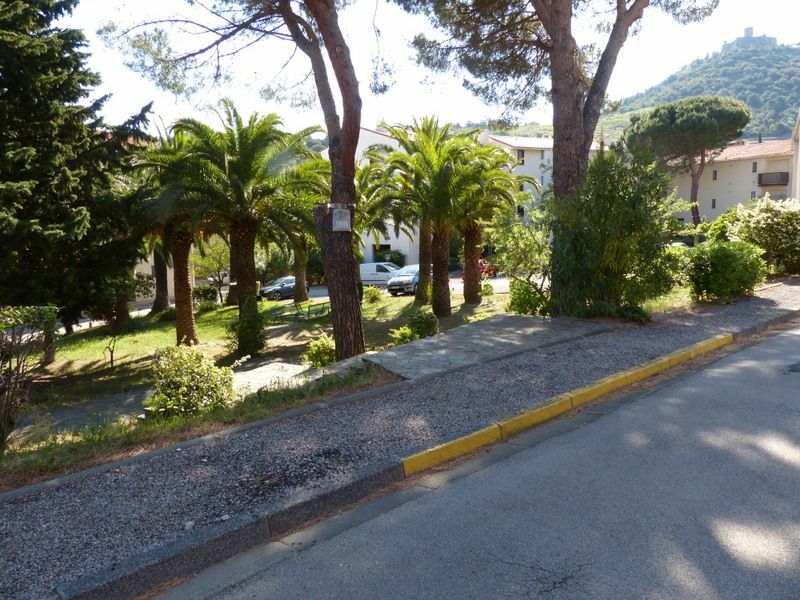 The appartment is very well situated, close to the beach and the centre of Collioure, in fact there is no need to use a car if you stay in Collioure. At the same time it is very quiet (absolutely no sound of traffic in the night) and does not heat up too much in summer (we had up to 36 degrees outside). The appartment is spacious with a well furnished kitchen and working WIFI. The sound isolation within the house is not great: noise from the appartment above and the staircase can be heard, this may be annoying, depending on the neighbours. For us it was only a problem the day the neighbours left (with lots of noise at 6 in the morning). Normalement nous n'avons pas de soucis de bruit sauf quand les locataires sont assez nombreux avec beaucoup d'enfants. Je vais tout de même prendre contact avec le propriétaire pour lui demander de prévenir ses locataires de veiller à ne pas faire trop de bruit. Collioure is located 25 kilometers from the city of Perpignan and very close to Spain. This city is located in the Pyrenean foothills which allows you to organize beautiful excursions. The main beach is situated 200m from the apartment, the city center 500 meters away. This allows for a holiday without using the car. There is a beach access without crossing a road. Golf: Golf de Saint Cyprien is located 20 km and has a 18 and a 9 hole. Beautiful crosses overlooking the pond and the pIc Canigou. The apartment is comfortable and has wifi. The password is available to the tenants in the apartment.